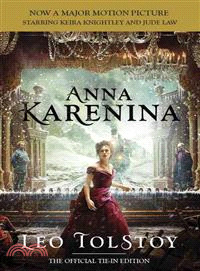 Now a major motion picture starring Keira Knightly, Jude Law, Aaron Johnson, directed by Joe Wright from a screenplay by Tom Stoppard. ABOUT THE TRANSLATORS: Louise and Aylmer Maude were English friends of Tolstoy who spent many years in Russia. Their Quaker background led them to share many of Tolstoy's spiritual and moral views. Aylmer wrote a biography of Tolstoy and worked with his wife on translations of his major works.